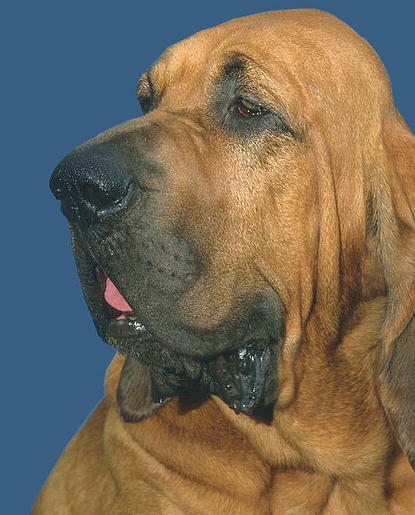 Sometimes called a nose with a dog attached, the Bloodhound boasts the most acute sense of smell of any other breed of dog! 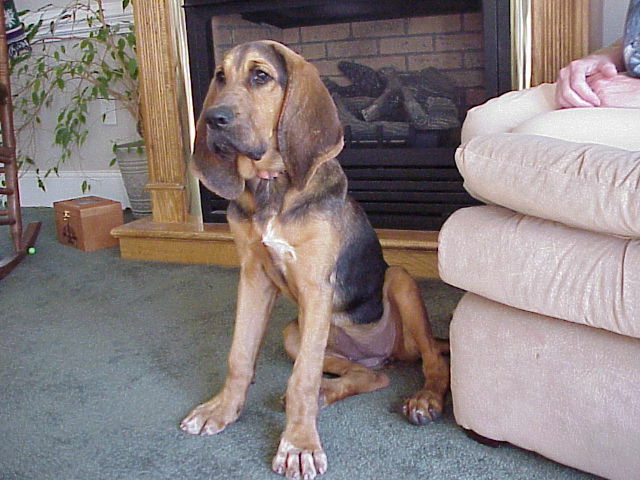 Everything about this hound is built to help enhance their ability to track a scent, including their loveable wrinkles. 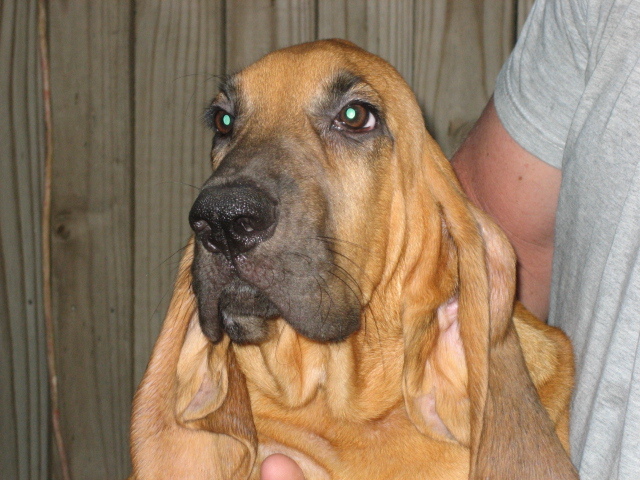 The Bloodhound’s head gently narrows to the muzzle, and loose-hanging skin creates wrinkles around their deep-set, hazel eyes and around the mouth and throat. This means that when the dog lowers their head, the skin droops forward, helping to trap smells. 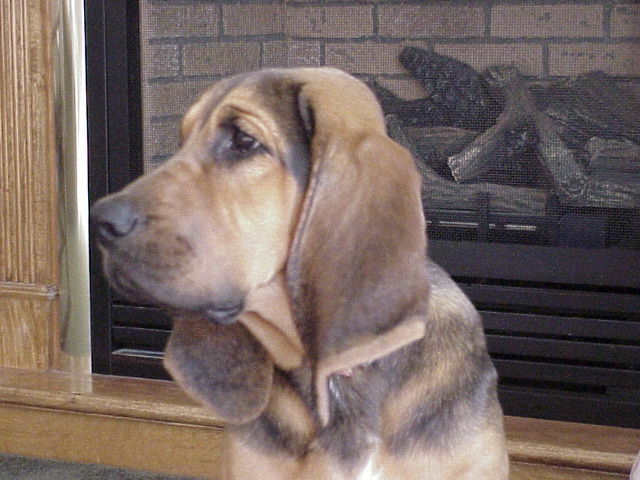 Their large, floppy ears also help to waft smells to their nose as they flap around with each step the Bloodhound dog takes. 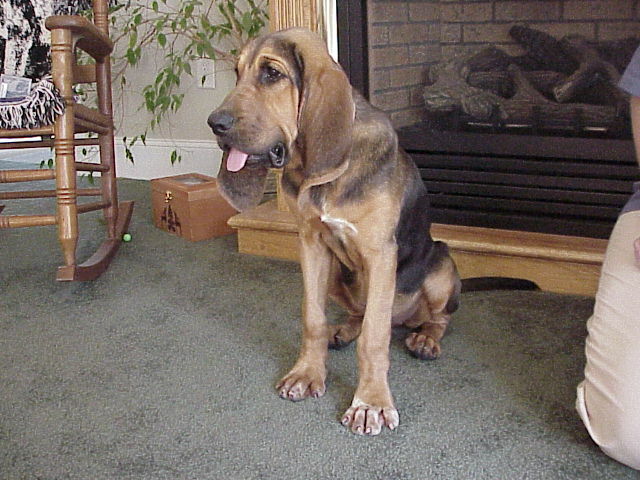 Bloodhounds have well-muscled bodies and are often taller than other breeds of tracking hounds. 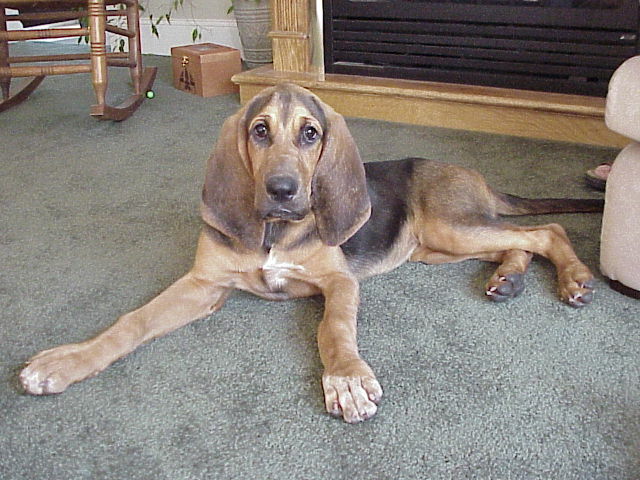 They have a short coat that can be a few different, classic hound colors, like red, black and tan, or liver and tan. 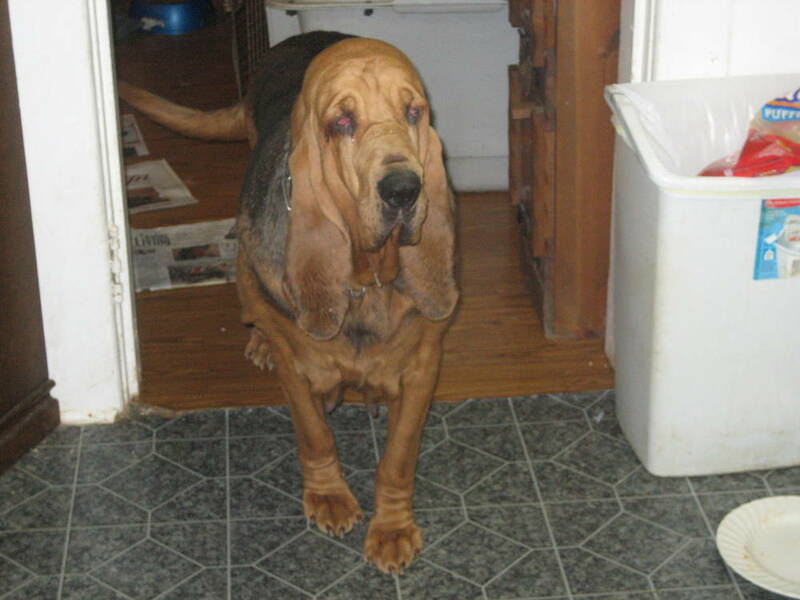 They fit in well with families that have have children, but it's important not to leave small children in charge of this dog, as a Bloodhound may accidentally overpower them to pursue a scent. Otherwise, these dogs are so placid, they will even put up with children tugging at them and climbing all over them! This makes supervised play sessions a good idea to ensure both the dog and the children are having fun and staying safe. Very energetic as puppies, they tend to mellow out as adults. 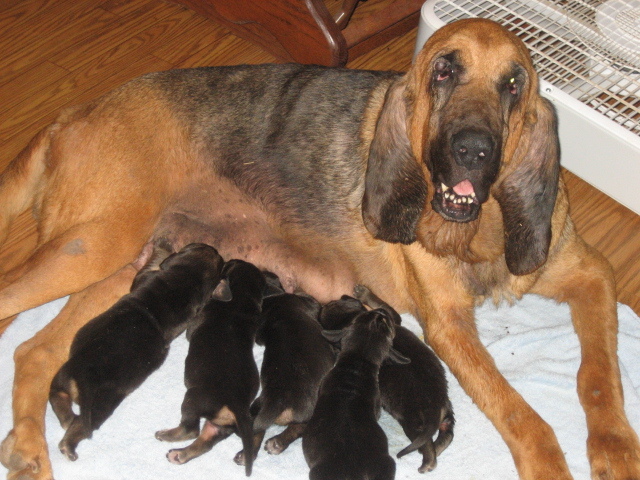 However, Bloodhound puppies need firm, consistent training to help combat stubborn tendencies. Although they may come off as lazy, when it comes to tracking or scenting, Bloodhounds will jump at the task with great enthusiasm! Just don't forget a leash! These dogs may bound off unexpectedly if they catch a scent they deem interesting enough to chase. Keeping a Bloodhound looking nice is easy enough, as they only require periodic grooming with just a little more attention needed in the winter. For a shiny coat, you can simply rub them down with a rubber glove or soft chamois cloth. 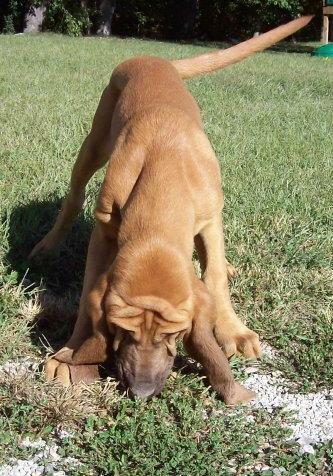 Keeping a Bloodhound smelling nice is a little trickier. They have sometimes been known to have a distinct odor, but regular bathing with a gentle shampoo can help beat the stink. Extra attention also needs to be paid to their floppy ears to ensure they don't get any infections. Health concerns owners should watch out for include hip and elbow dysplasia, skin-fold dermatitis, ectropion, entropion, gastric torsion, and occasionally hypothyroidism. 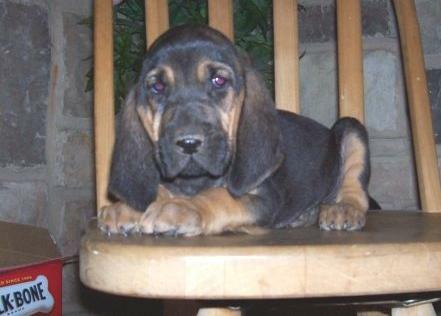 The Bloodhound has a long and noble history. 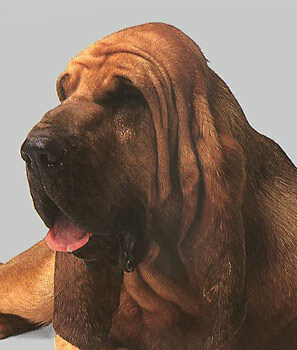 Originating from Western Europe some time around the 14th century, the name Bloodhound was used to denote a hound of pure blood, alluding to stringent breeding practices. 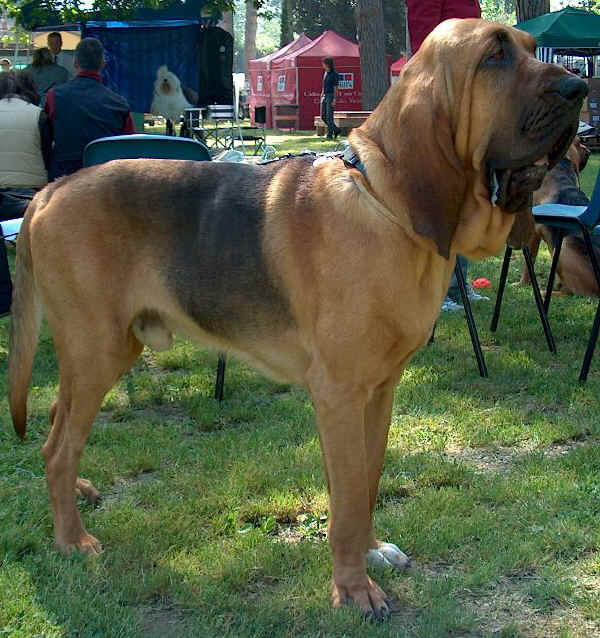 Bloodhounds have been used to track down both animal and human quarry. 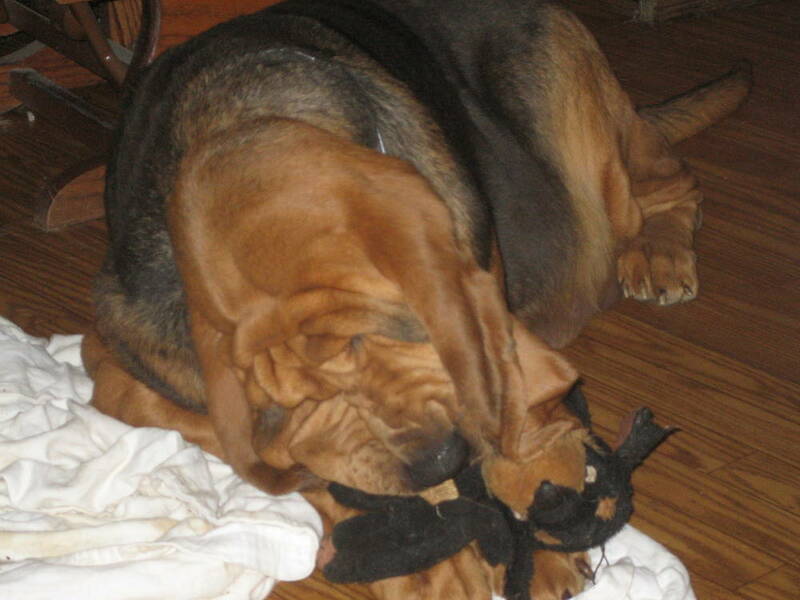 Although they are large enough to take down prey by themselves, Bloodhounds are much more likely to alert their owner of any located prey rather than take it on themselves. 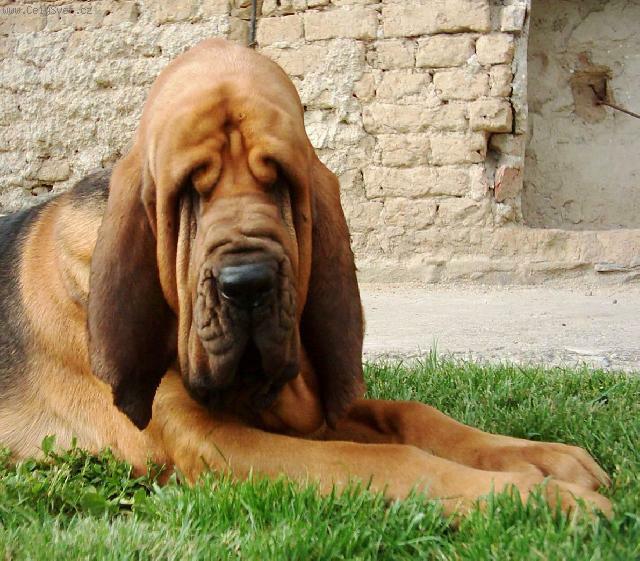 History is dotted with Bloodhound stories, including 14th century Scottish and English records that indicate the rebel William Wallace was tracked by Sleuth Hounds, which are believed to be the same as Bloodhounds. Seventeenth century scientist Robert Boyle wrote noteworthy reports on the breeds tracking abilities. 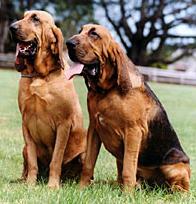 In the 19th century, Bloodhounds were shipped to France to help bring back the St. Hubert dog breed. For this reason, they are known as the Chien Saint Hubert with the Federation Cynologique Internationale. 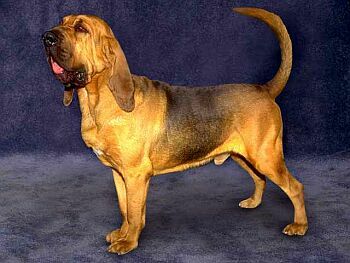 The Bloodhound came to the United States at the end of the 19th century and was recognized by the American Kennel Club in 1885 along with their smaller cousin, the Basset Hound. Since then, these dogs have enjoyed an enduring popularity with the American people.